An exciting and colourful puzzle book, the Lion Picture Puzzle Bible is filled with fun scenes and engaging Bible stories. 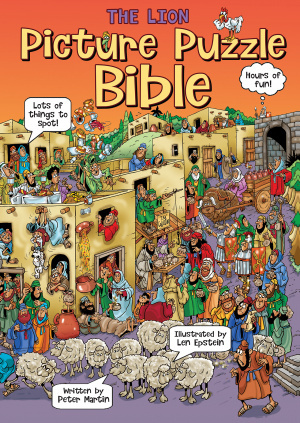 A fabulously fun picture puzzle book with ingeniously detailed scenes from favourite Bible stories. There is a huge amount to look at and be entertained by, but there are also special item and events picked out in the margin of the page that it is your job to find in the picture! There are loads of funny little scenes and pieces on every page, but the tableau overall tells the main points of each Bible story. Illustrator Len Epstein is uniquely gifted in bringing this book to life. The Lion Picture Puzzle Bible by Peter Martin was published by Lion Hudson Plc in August 2015 and is our 7953rd best seller. The ISBN for The Lion Picture Puzzle Bible is 9780745965451. 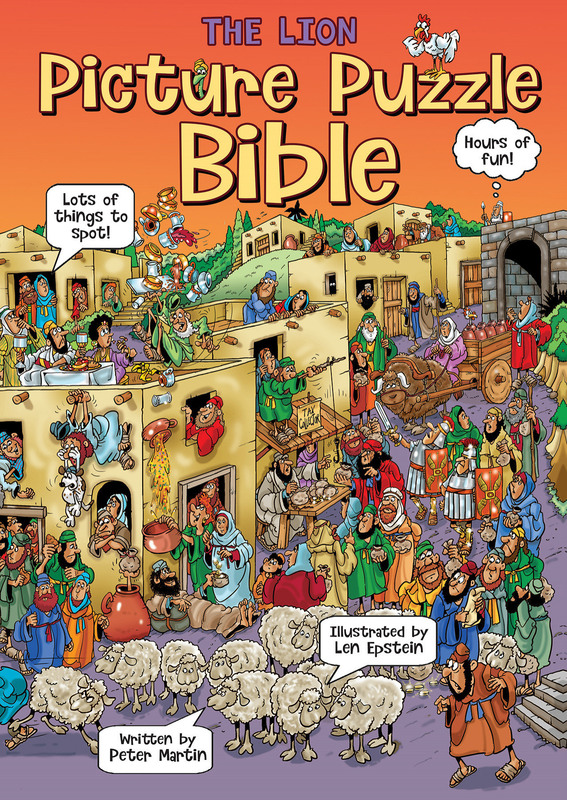 Be the first to review The Lion Picture Puzzle Bible! Got a question? No problem! Just click here to ask us about The Lion Picture Puzzle Bible. A:Thanks for your question and this book is aimed at 8-10 year old's. I hope that answers your query and thanks for using the Q&A forum.